When Do You Need High Speed HDMI? We outline four types of cables and when each is necessary for 1080p. 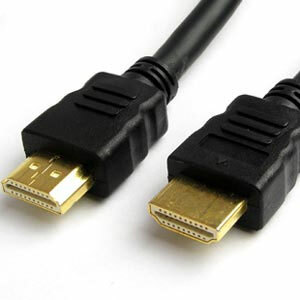 Standard HDMI Cable: Supports up to 720p/1080i up to bandwidth of 2.25Gbps. High Speed HDMI Cable: Supports 1080p or higher, including 3D or 4k/2k, up to bandwidth of 10.2Gbps. Standard HDMI Cable with Ethernet: Supports up to 720p/1080i supporting up to a total uncompressed bandwidth of 2.25Gbps. Adds support for HDMI Ethernet Channel (up to 100Mbps). High Speed HDMI Cable with Ethernet: Supports 1080p or higher up to an uncompressed bandwidth of 10.2Gbps. 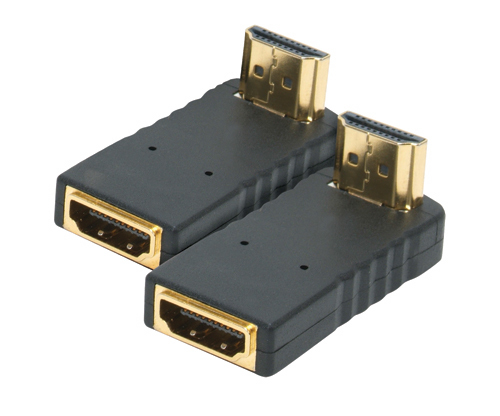 Adds support for HDMI Ethernet Channel (up to 100Mbps). Only home theaters with Internet connections will require an HDMI cable with Ethernet. All other existing cables support the remaining features of HDMI 1.4. 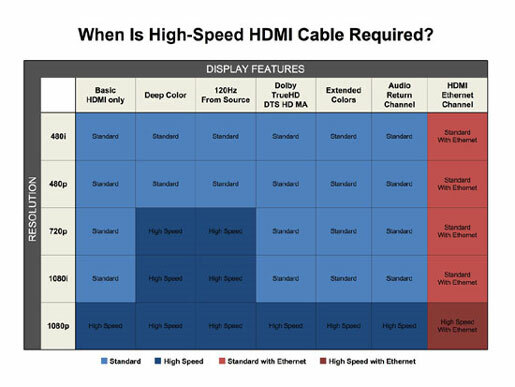 Below is a chart of all the possible features of HDMI and what cables are required for each feature. When you’re watching TV (or a projector) in any format below 1080p, there are only two instances when you’ll need a High Speed Cable: Deep Color and 120Hz from the source. In both of these cases, if you’re viewing 720p or 1080i content, a High Speed Cable is necessary because those features require almost double the bandwidth of standard definition. Finally, 120Hz from the source is very different from the 120Hz or 240Hz achieved through upscaling built into the TV. All TVs manufactured today upscale the signal inside the display. If the signal is being upscaled, having a High Speed Cable will not make a difference. 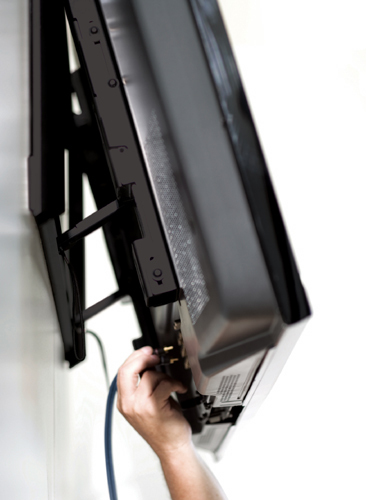 The right television mounts can enhance your viewing pleasure. It’s cool to hang a flat-panel TV on the wall. It saves space, puts your prized possession out of harm’s way and lends a clean, modern appearance. 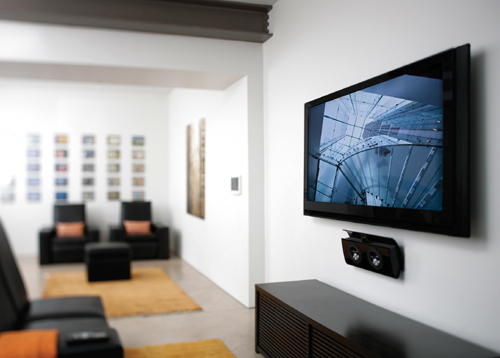 In order to attach your TV to the wall, you’ll need to invest in some type of mounting hardware. Prices range from $50 all the way to a few thousand dollars, depending mainly on how much weight the mount can hold and its functionality. You’ll find styles to accommodate any size, make or model of TV, as well as the viewing environment and your viewing preferences. Manufacturers, including Chief Manufacturing, OmniMount Systems, Premier Mounts, Sanus Systems, and others, offer mounts that can be installed by do-it-yourselfers. “We include all of the hardware you’ll need, even a drill bit to make sure you drill the right size hole,” says Erick Valkingburg, sales operations manager at OmniMount. Additionally, many DIY mounts have helpful post-installation features that allow you to adjust the position of mount up, down, left or right slightly after the TV has been attached. One common installation snafu, says Ryan Hagberg, marketing manager at Sanus Systems, is a misaligned mount. 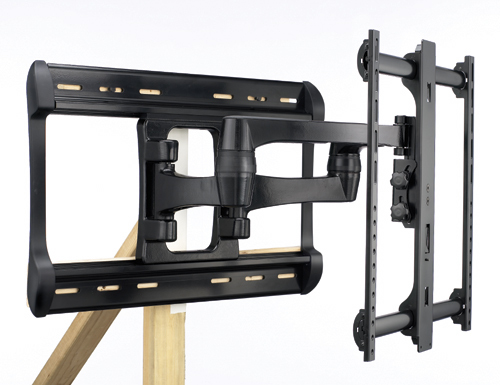 “The wall plate of the mount might look perfectly level after you’ve installed it, but once the TV’s on it doesn’t look right.” A feature like Sanus Systems’ Pro technology, lets you tweak the alignment of the mount without having to remove the TV or redo your work. 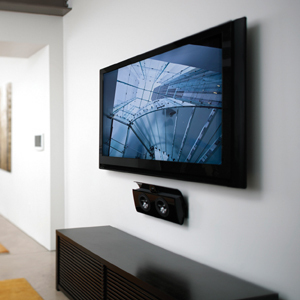 Fixed mount: Generally the least expensive type of mount, a fixed mount attaches the TV permanently to the wall. It’s a good choice for rooms where watching TV is the main activity and where bright lighting won’t interfere with the picture. A fixed TV is ideally mounted at a height that’s directly at your eye level when you’re seating on a couch. The seating arrangement should be one in which you’ll be able to view the TV from nearly straight on, as once the TV is affixed to the mount, it can’t be turned, swiveled or pulled out to be viewed from the side. 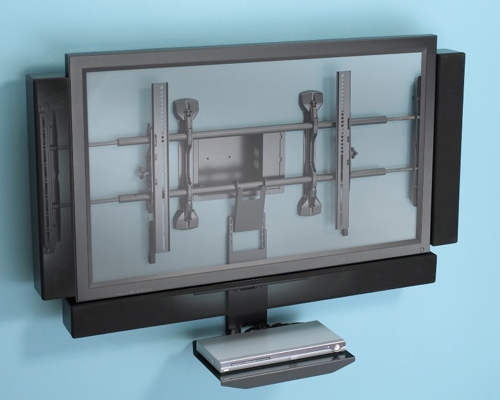 Low-profile mount: This is a type of fixed mount, designed to complement newer ultra-thin flat-panel TVs, places the TV nearly flush with the wall surface. Mounts in Chief Manufacturing’s Thinstall Series, for example, protrude less than a half-inch from the wall. Keep in mind, however; most low-profile mounts aren’t able to carry the weight of TVs larger than 70 inches. “A TV this big will probably require the bigger brackets of a standard fixed mount, says Wier. Recessed (in-wall) mount: A low-profile mount maximizes the thin lines of a flat-panel TV, however, with limited space between the wall and the TV, it can be difficult to stuff all the necessary cabling behind the set. For this reason, some professional installers prefer to use a recessed mount. This type of mount requires the construction of a wall cavity between the wall studs. This cavity affords room for cabling, outlets and power/surge conditioners, as well as the mount itself. Attached to the mount, the TV sits completely flush with the wall surface. Tilting mount: Some fixed mounts (as well as articulating mounts) have this feature which allows the TV to be tilted up or down slightly. It’s a feature that can minimize glare and improve the viewing angle if the TV is mounted high on the wall—like above a fireplace mantle. “It provides some additional flexibility without adding a lot of cost,” says Valkingburg. A tilting mount costs 10 to 20 percent more than a fixed mount. Articulating mount: In addition to being tilted, an articulating mount can be extended from the wall by several inches and swiveled to face any direction. These capabilities make it an ideal choice for environments where there is more than one viewing location. In a great room, for example, the TV can be rotated toward the kitchen, later angled toward the dining area then placed back on the wall for viewing from the couch. Additionally, an articulating mount allows you to place your TV in a less than ideal location—like a corner—and still be able to view it perfectly by moving it into a better position. Expect to pay about twice as much for an articulating mount than a fixed mount, says Hagberg. Motorized mount: Operated by remote control, a motorized mount may sound like a lazy-man’s solution, but it can be helpful if your TV is mounted high on the wall or you’d like to be able to extend and swivel your family room TV from the kitchen, for example. • Cosmetics: This is particularly important if you’re buying an articulating mount. When the TV is extended you’ll be able to see the mounting hardware, so be sure you’re happy with the cosmetics. • Cable management: A mount should make accommodations for cabling. For example, the extension arms of Sanus Systems’ mounts are hollow so that the cabling can be hidden inside. Also, you may need cable accessories such as right angle adapters (pictured) for HDMI so the cables don’t impede the mount’s ability to be closer to the wall. • Accessories: You might want to attach speakers or a Blu-ray player to your flat-panel TV. Make sure brackets can be added to your mount for these and other components. 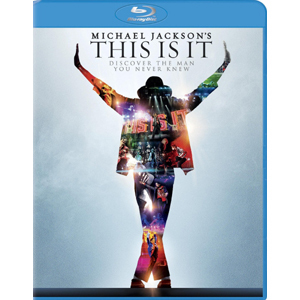 A few musical picks, like Michael Jackson’s This Is It and Soul Power, highlight this week’s releases on Blu-ray. Usually we focus on the movie releases in our weekly Blu-ray spotlights. However, this week there are a few engaging musical items that are sure to make your home theater system sing. This Is It is a must for Michael Jackson fans. He was supposed to perform an astounding 50-show run in London, and before passing away last year a good amount of his rehearsal footage was captured on film, with this documentary being the result. All of that musical goodness through Blu-ray can be heard in uncompressed DTS-HD Master Audio, so you can soak in one last glimpse of the king of pop. Another performance that you may not have known about is also on showcase this week as it arrives on Blu-ray. The disc is called Soul Power, and it is a concert film and more, documenting performances that coincided with the 1974 Rumble in the Jungle that pitted Muhammad Ali and George Foreman (go rent When We Were Kings for much more). James Brown kicks things off … ‘nuff said. For another bit of musical attitude, check out the original version of Fame (1980) that’s out this week. You may know many of the songs even if you’ve never seen the film, but here’s all the singing and dancing in full Dolby TrueHD 5.1 surround sound to light up your home theater.